The Minister of Power, works and Housing, Babatunde Raji Fashola has called on all contractors handling roads, power and housing projects across the country to abide by the rules and regulations guiding the construction sector, in order to ensure efficient projects execution. 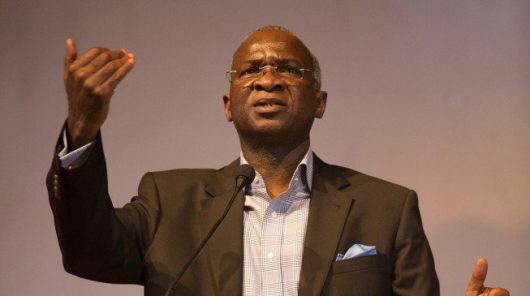 Fashola who gave this charge yesterday at the opening ceremony of 24th National Council Meeting on Works, in Birnin Kebbi, said that the major challenges being faced by the engineers and contractors are the issues of compensation and demolitions of structures violating various Land Use Acts. The Minister who however expressed delight over progress made under this present administration, in restoration of roads works across the country, adding that “before we have lost values but now with this present administration it has being restored. In his remark, the Kebbi State Governor, Senator Atiku Abubakar Bagudu, thank the President Muhammadu Buhari and Minister of works for constructing road networks in the state, and declared the state’s support and cooperation towards achieving the same goals. “We still need more from you (Minister), because there is still some Federal roads that need rehabilitation, and indeed, you are a pillar of roads in Nigeria, you have changed this for good, you done it in Lagos and now you are doing it nationwide,” he said. In the same vein, the Kebbi State Commissioner of works, Atiku Bunu, also thanked the Minister for showing more concerned and commitment to Kebbi state in terms of infrastructural development. “Governor Atiku Bagudu Abubakar has constructed roads that involve the state across the three senatorial district as well as also some federal roads which cost us about N15billion,” he added.